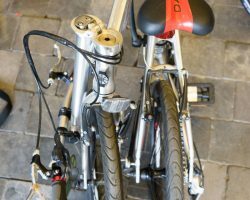 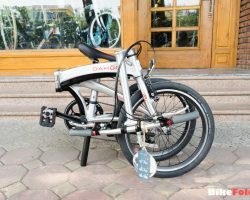 If you are familiar with Dahon’s folding bike series, you probably heard about the Dahon Vector family. 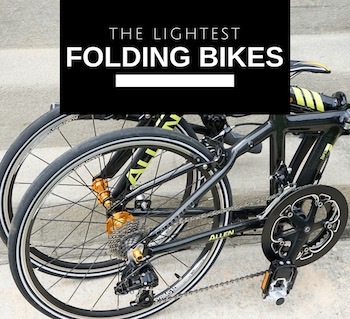 This is the series of high-end bikes with high-quality components and sleek design, however, they come with a hefty price tag. 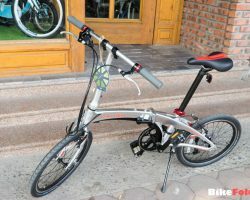 Fortunately, Dahon started introducing the cheaper version of the Vector family and called it Dahon Vigor. 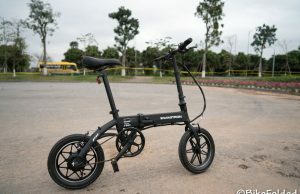 I see there are some variant of the Vigor on the market, including the Vigor P9 and Vigor D9. 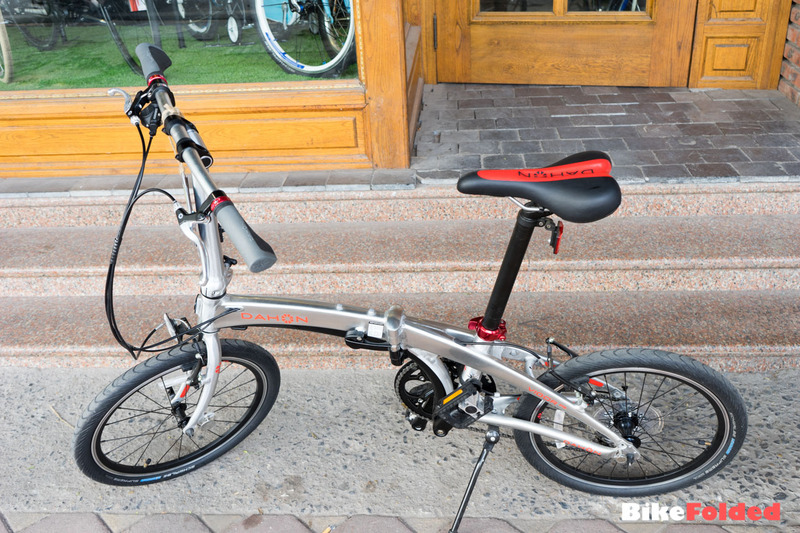 In this review, we’re going to take a look at the Dahon Vigor P9. 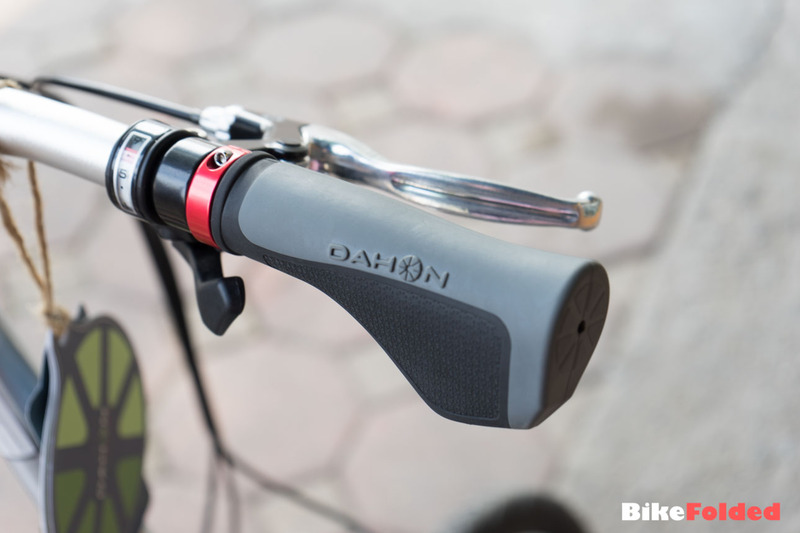 Handlebars: Dahon forged alloy, Radius T, Fusion and V clamp technology. 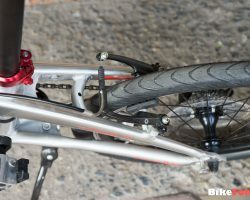 The Vigor has a very similar frame geometry as the Vector. 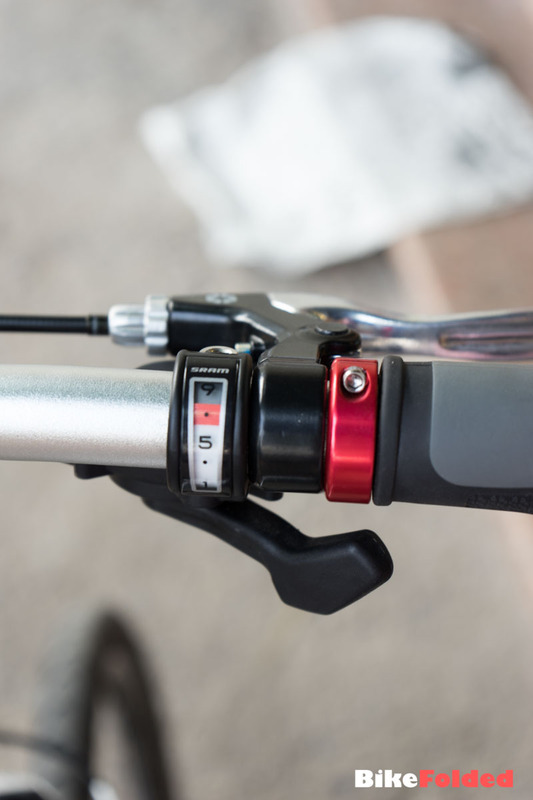 It would be so difficult to distinguish between the two if you don’t look at the color or some component difference. 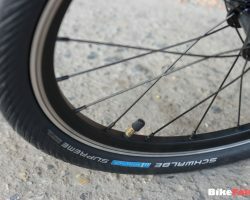 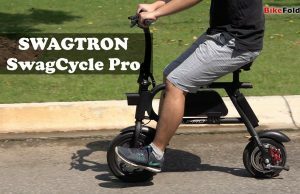 Although the Vigor uses some less expensive components, it is still promised to deliver a big-wheel feel on the small 20-inch wheels. 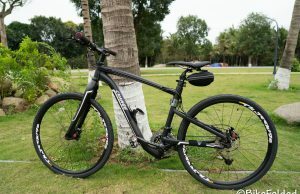 And I’m quite satisfied with its performance. 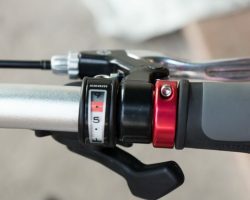 I see some people use this bike off-road but I wouldn’t recommend you to do so. 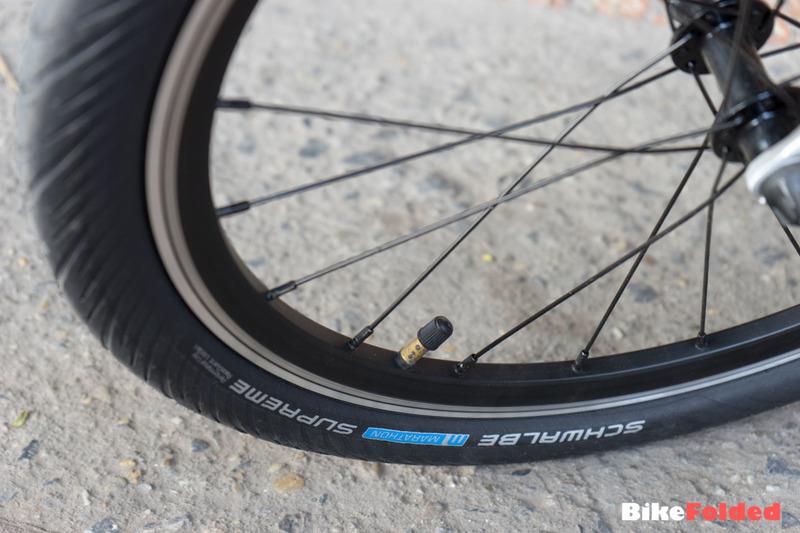 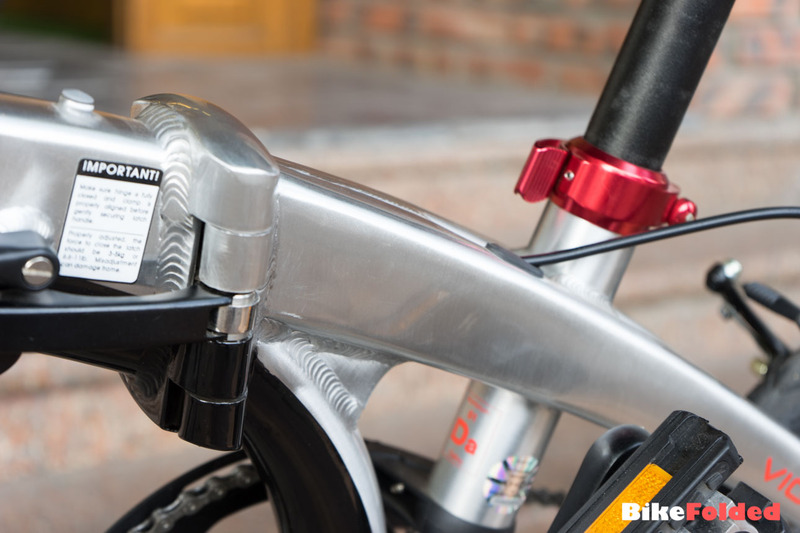 The Vigor P9 is designed to use on paved roads and it is where it excels. 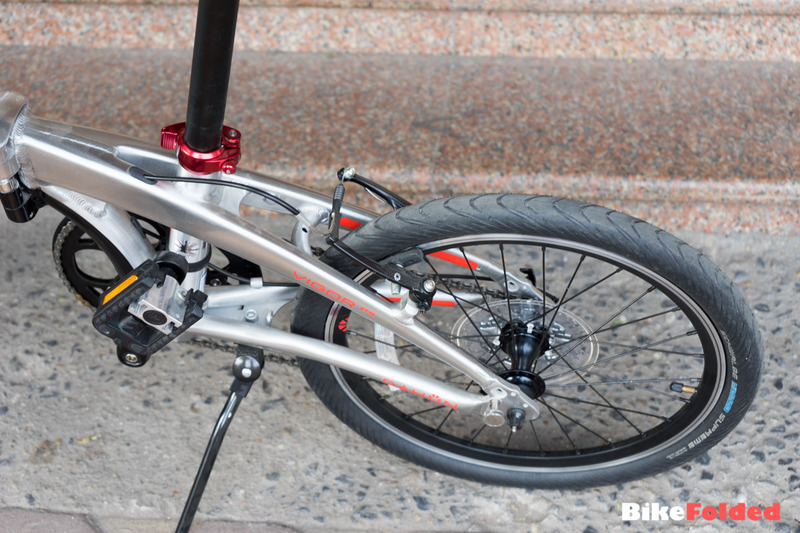 If you ride it in the city, it rides like a bigger ordinary bike. 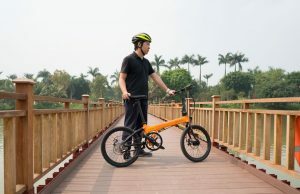 The bike has 9 speeds which are enough to cover most situations, even when you climb some hills, bridges or moderate inclines. 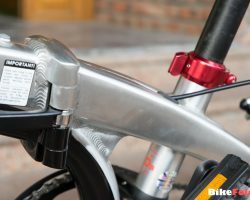 The folder obviously targets cyclists with its aggressive frame while the handlebar’s height is unadjustable. 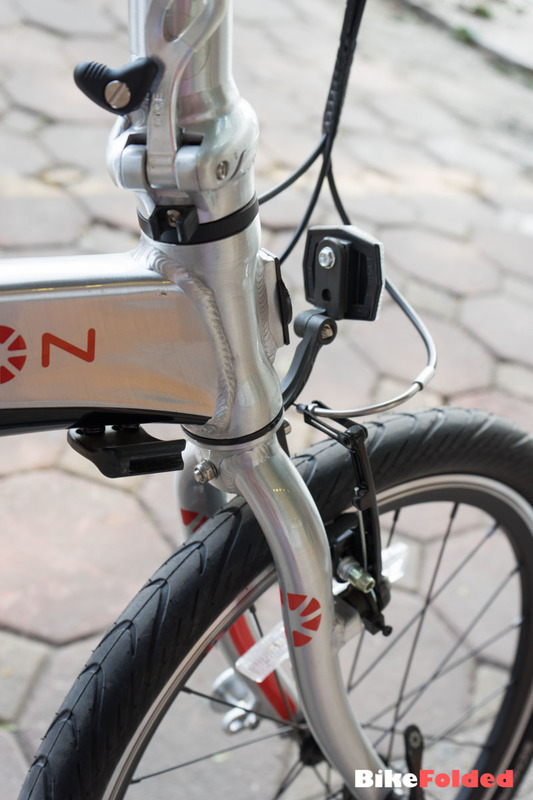 Therefore, it could ride a little faster than many Dahon’s urban bikes. 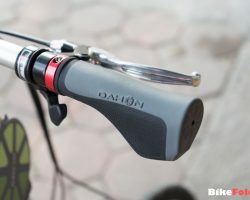 The design of the Vigor P9 is amazing. 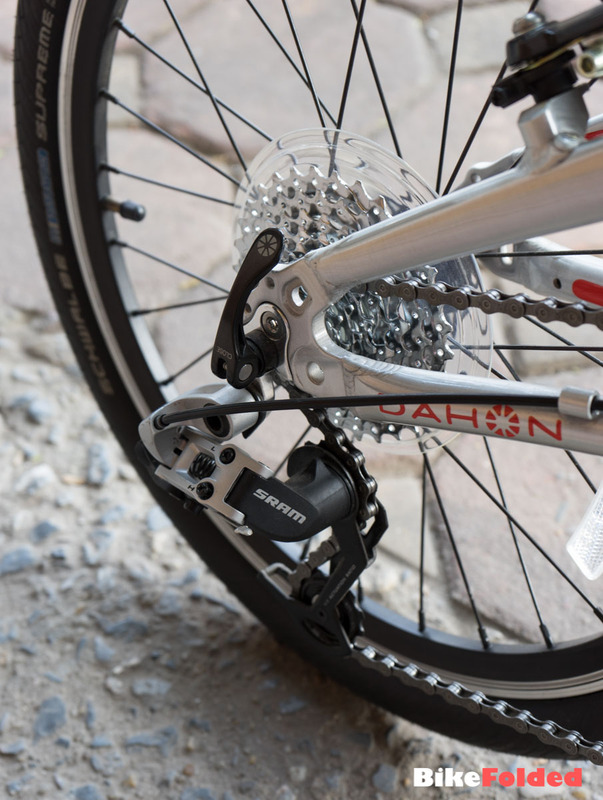 You can see a totally clean bike with no cable mess because Dahon uses internal cables which are hidden inside the frame. 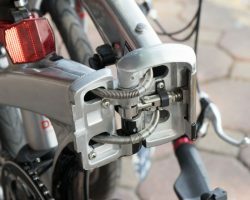 Unlike some cheap options, the cables are protected by metal rings to avoid damages during the folding and unfolding processes. 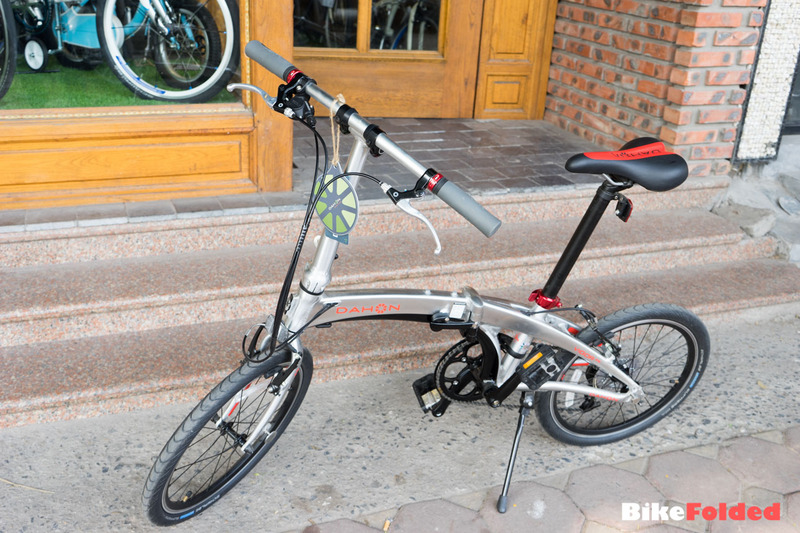 Besides, the color combination really makes the Vigor stand out of the crowd. 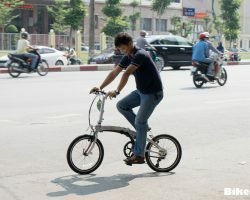 I’ve received a lot of compliments while testing this bike. 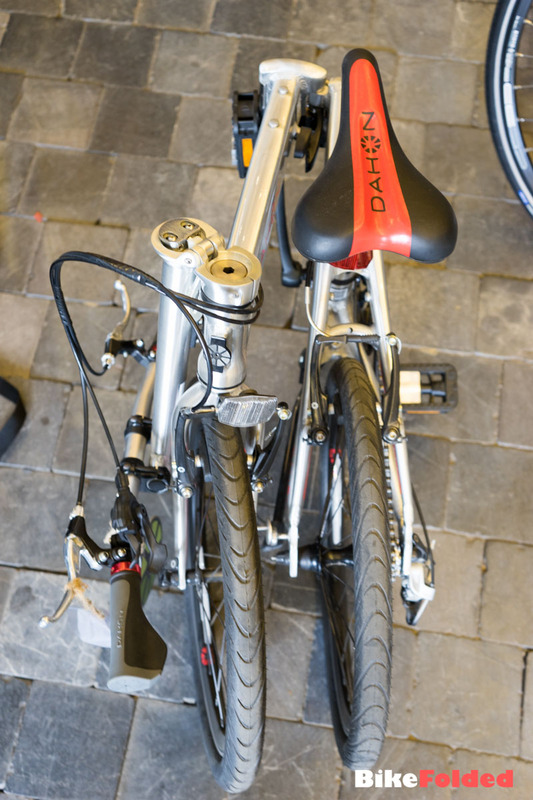 People fall in love with the brushed silver finish on the frame, along with black painting underneath and red accents. 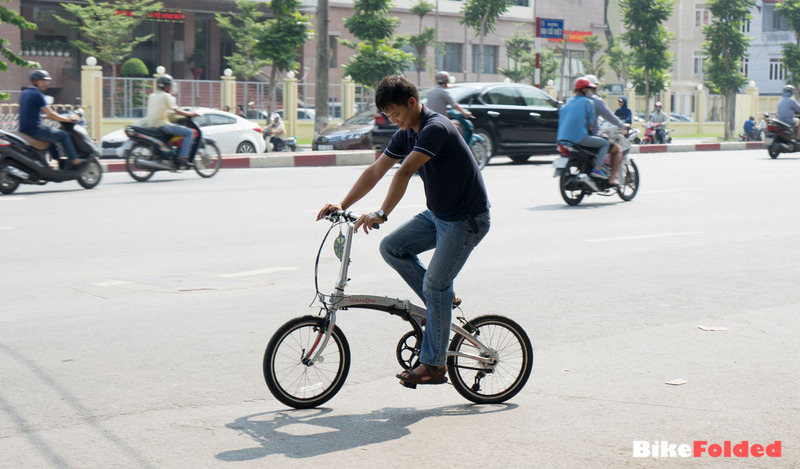 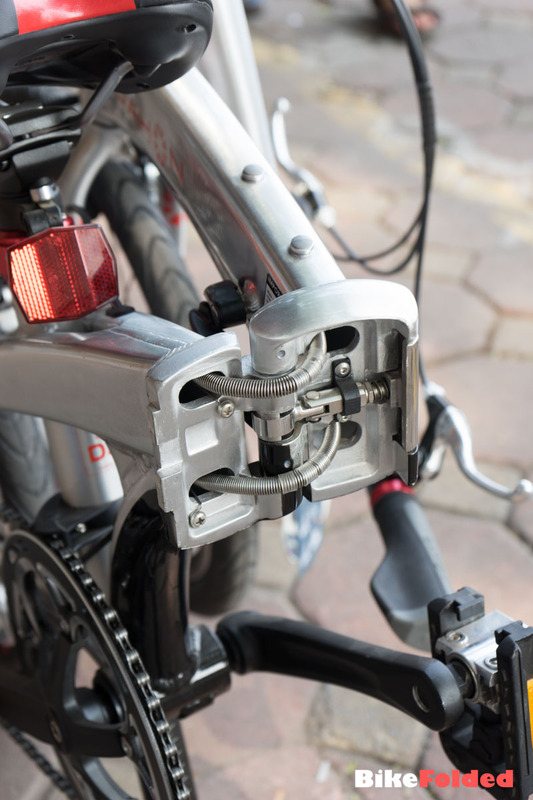 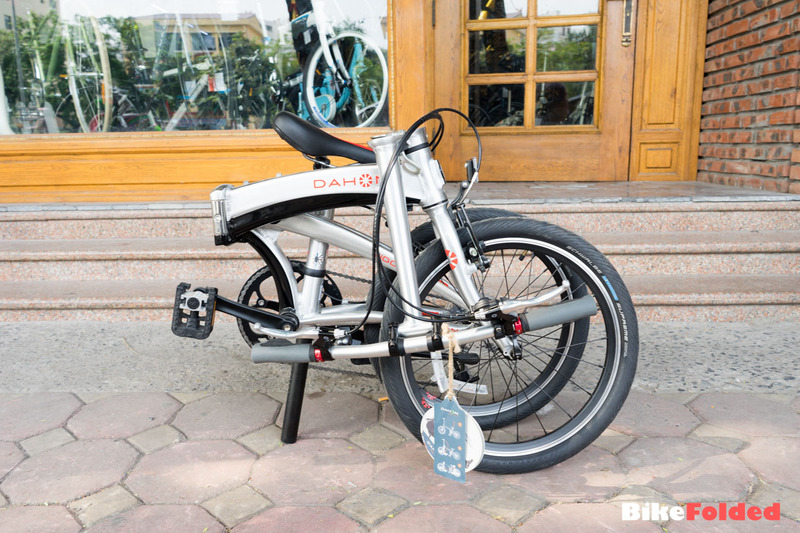 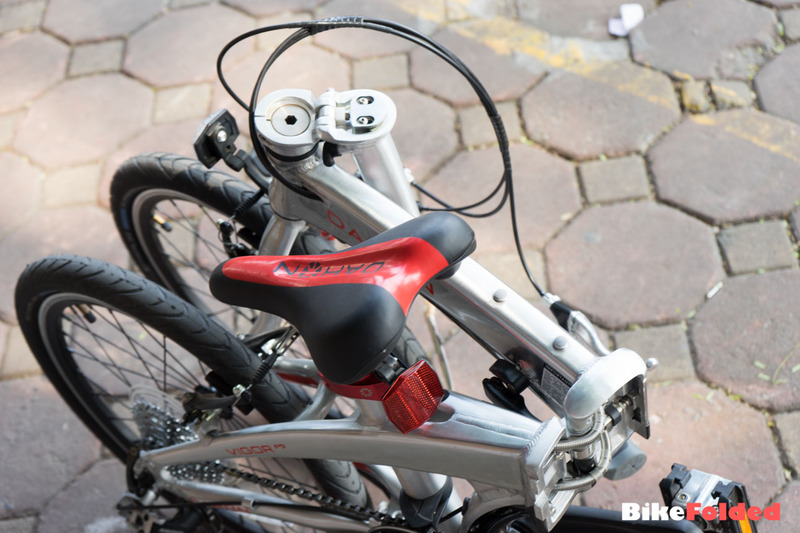 The folding mechanism is the same as most other Dahon bikes. 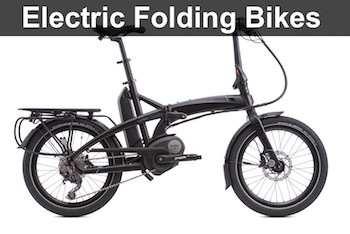 This is the horizontal folding frame, so it’s quite easy to fold and unfold. 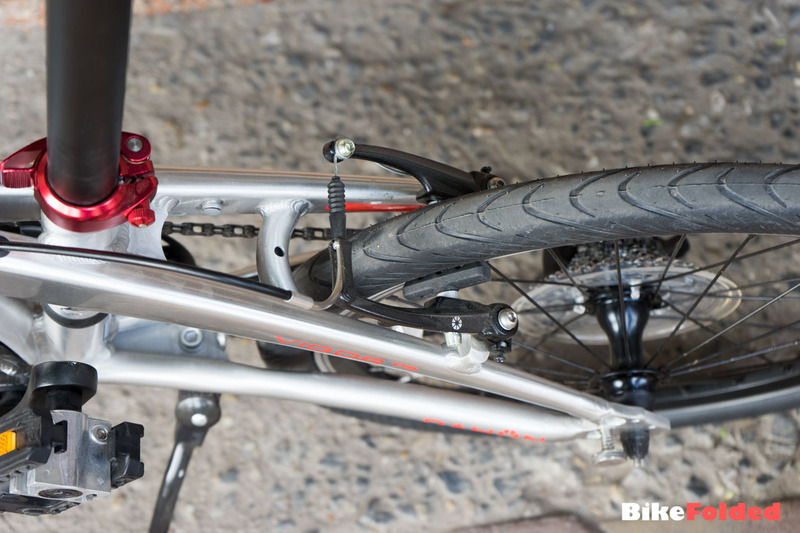 I also appreciate that the frame is very sturdy and I don’t hear any creaking noise when riding on uneven roads. 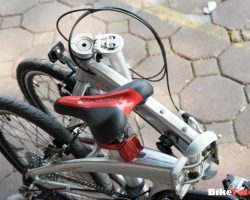 If you are here to look for a disadvantage of the bike, unfortunately, you wouldn’t be able to find one because I totally love the bike. 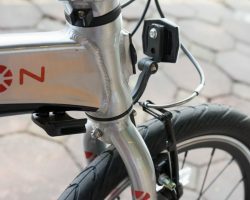 If the fenders and cargo rack are included, it would be awesome. 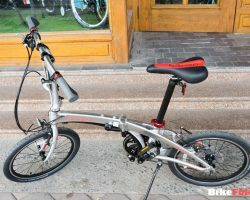 We at BikeFolded highly recommend the Dahon Vigor P9 if you are looking for a high-performing folding bike on a budget. 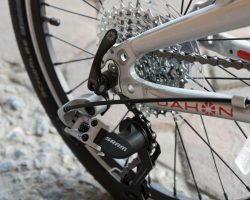 and for off road? 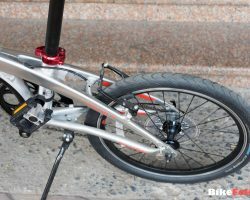 some specific model? 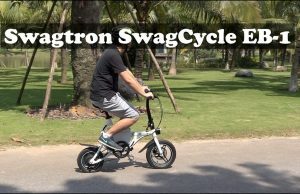 Swagtron SwagCycle EB-1 Folding Electric Bike Review – Buyers Beware!